One of the things I truly enjoyed after getting married and moving in to a condo 6 years ago was buying anything for the kitchen. As simple as a spoon or a new set of pots was a source of happiness. Haha! Was it pregnancy hormones? 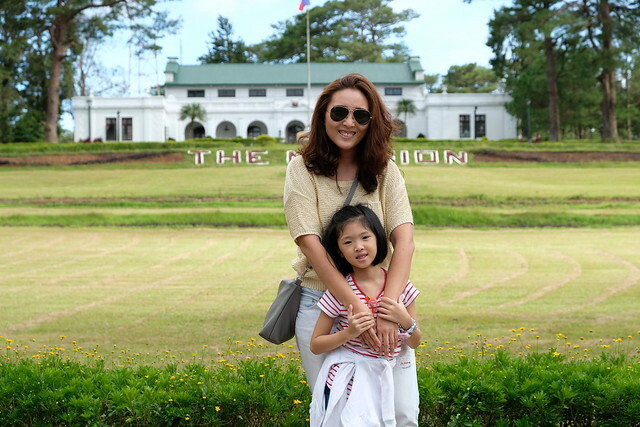 Or maybe it was a start of my being a tita? Fastforward to today, the kitchen remains to be one of my favorite in our home. I don't really cook well but I like our kitchen to be pretty and neat. I was obsessed with plates for awhile (a lot of my friends know this! ), I've stopped buying because I don't have a place for them anymore. Now, I'm trying to declutter fix our kitchen yet again. I need new pans! 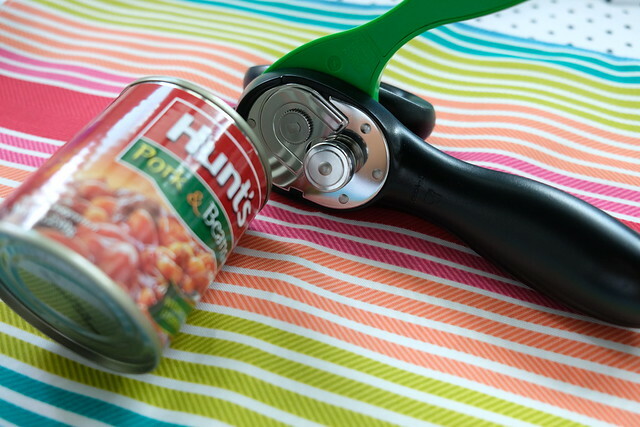 But here's something that has been in my wishlist for so long, a new can opener!!! And I was so happy when I received a Tupperware's Can Opener in the mail! 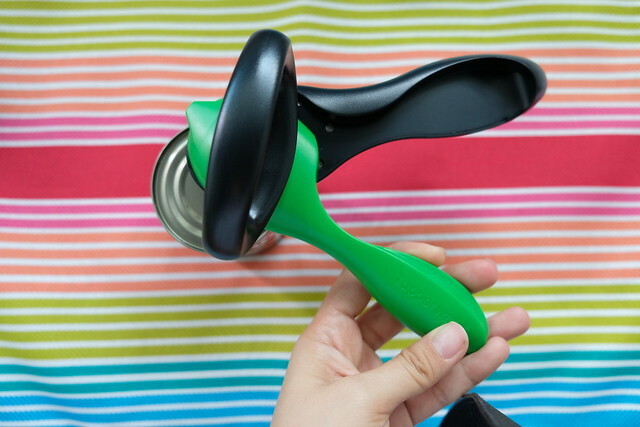 Tupperware's Can Opener isn't your ordinary can opener. Say goodbye to accidentally cutting your finger from lifting up that stubborn lid. I've scratched and cut myself a few times and the cut is usually deep and really hurts. 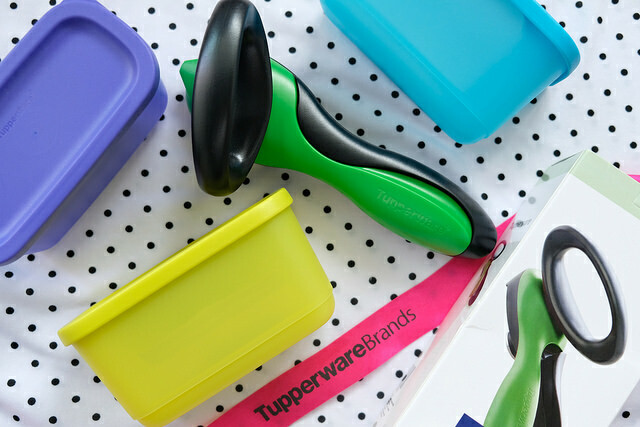 With Tupperware's Can Opener, it lifts the lid away from the can and leaves no sharp edges after opening! It looks simple but don't be intimidated because it's actually easy to use. What I learned from this can opener is that, not all cans are made the same pala! Some didn't work with this kind of can opener like a can of pineapple tidbits, I had to use the normal can opener. 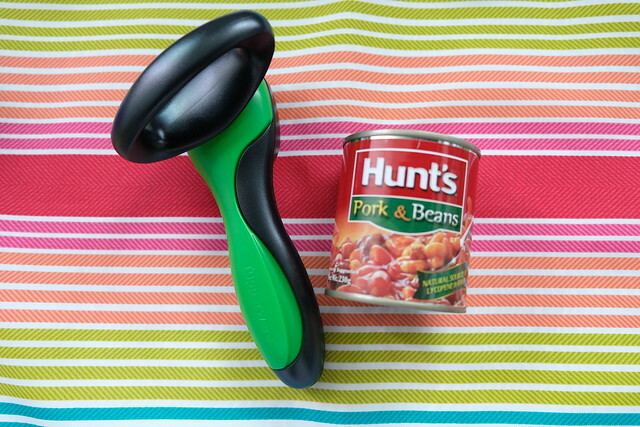 I tried the can opener on a can of pork and beans. Put the edge of the can in between the two circles, put the handles together and wind it! When you hear a click, that means you can already remove the lid. But I wasn't able to remove the lid the first time (not reading instructions kasi! ), I had to wind the can again for a second time and used a knife to remove the lid. I felt disappointed then I watched the video (you can see it down down below) again and that's when I figured it out. 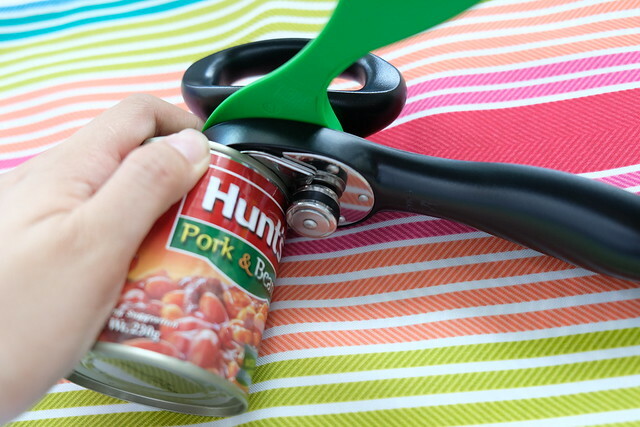 The can opener has a small clip in front which you can use to lift the lid. TADAHHHH! See those smooth edges? Opening a can has never been more easy! Different cans have different lids. So far I've been very successful on opening our canned good except for a can of pineapples which I had a hard time using this can opener. But other than that, I love Tupperware's Can Opener! I still have to convince our helper to use this instead of our old one because I seriously want to throw our old one away na. Haha! 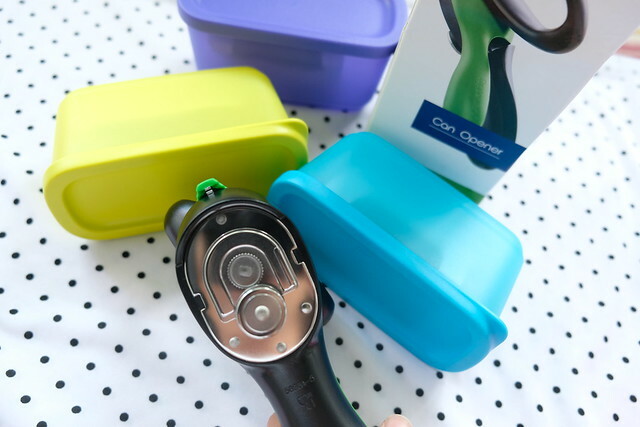 Sharing with you Tupperware's video on its new can opener!